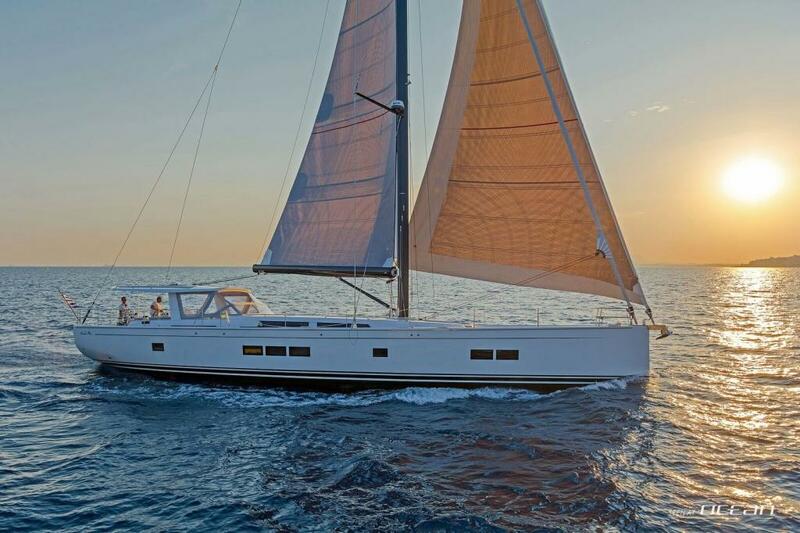 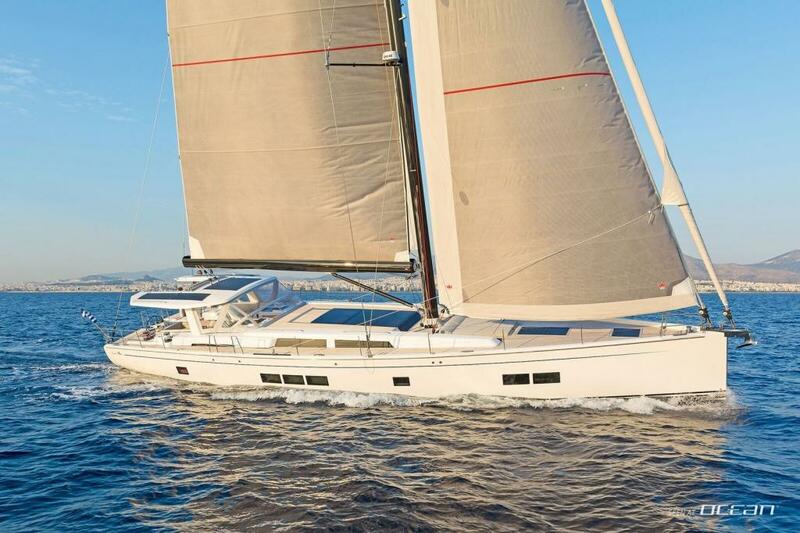 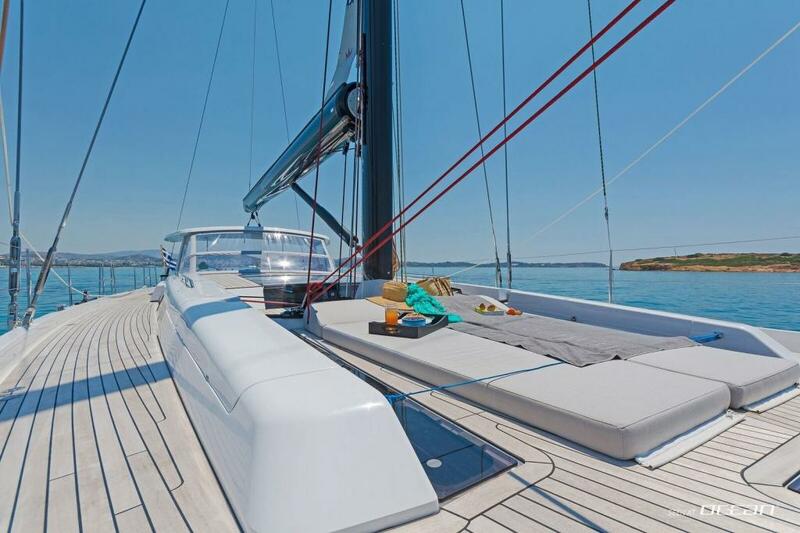 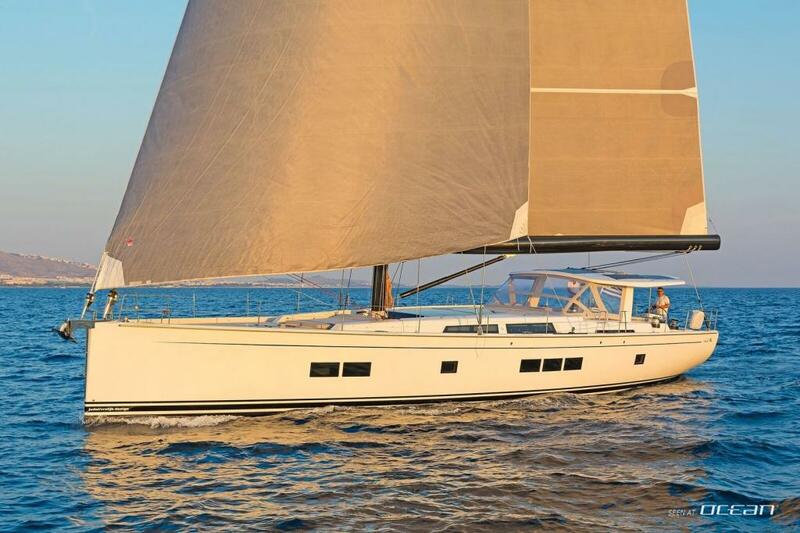 We are delighted to welcome a brand new Hanse 675 joining our Greece luxury sailing yacht fleet. 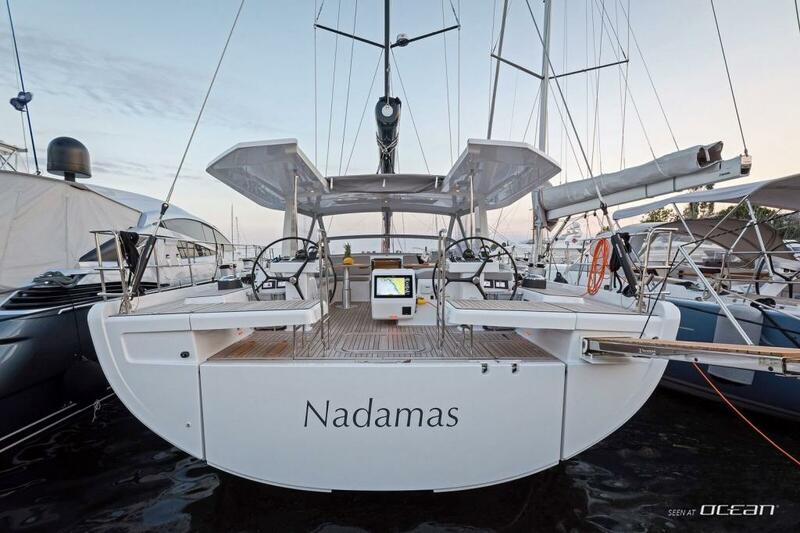 S/Y NADAMAS will incarnate all the best the German Hanse Yachts shipyard has currently on offer and is characterized by clean and clean exterior lines, smooth surfaces and a stunning deck layout perfect for open air alfresco dining and barbecue, relaxing or sunbathing. 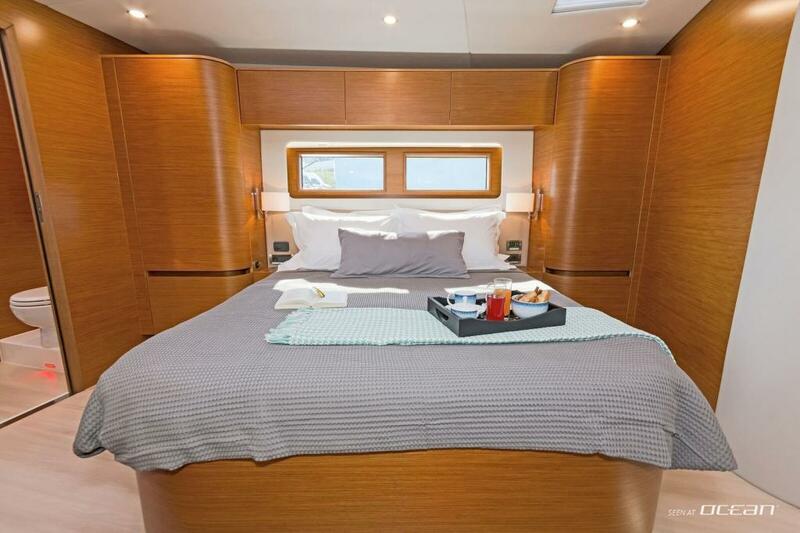 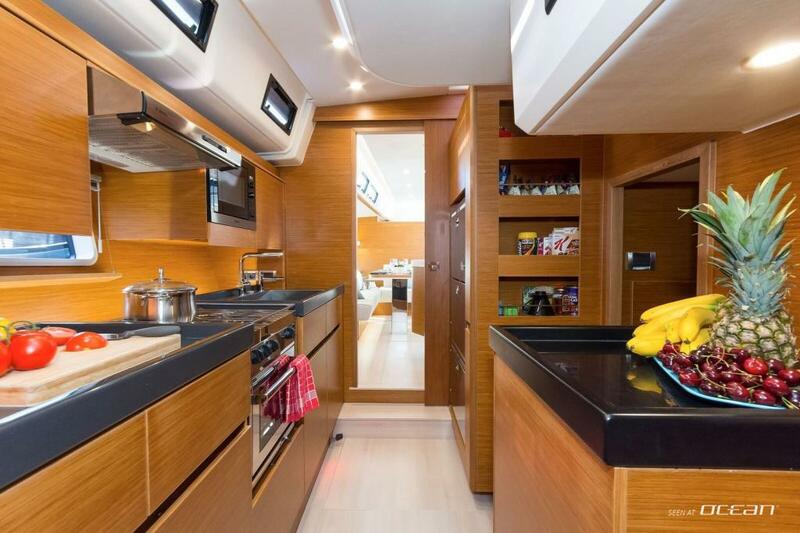 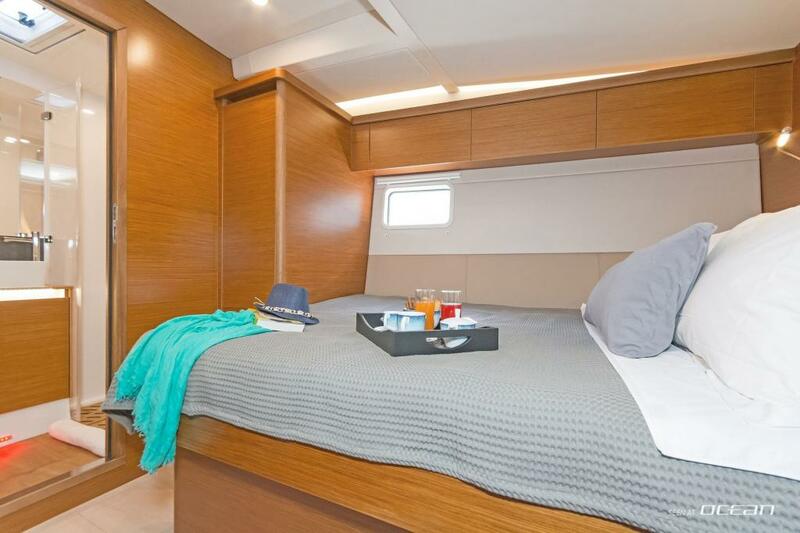 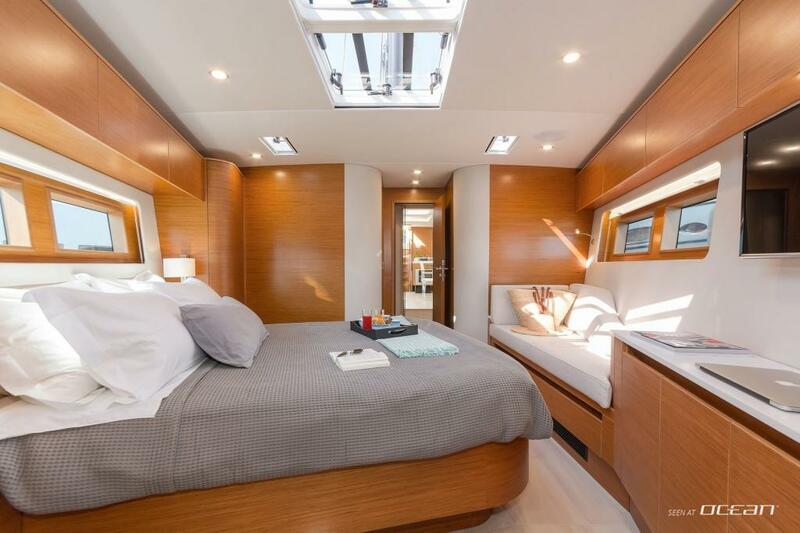 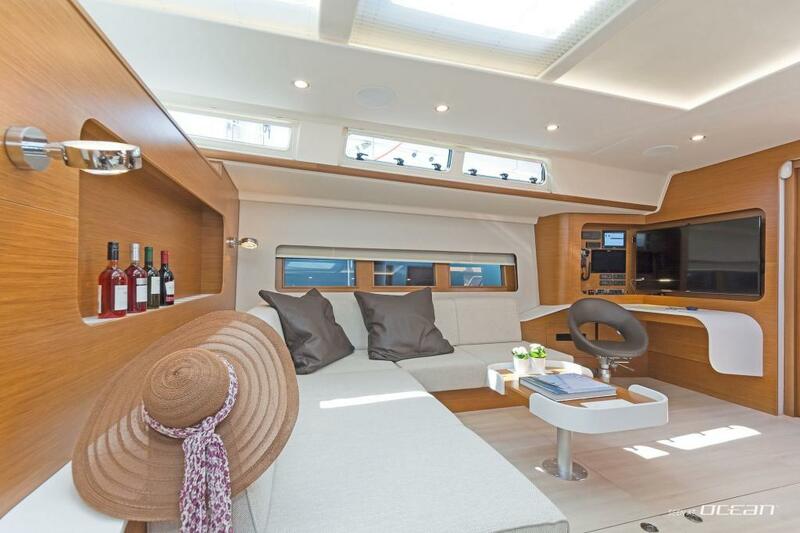 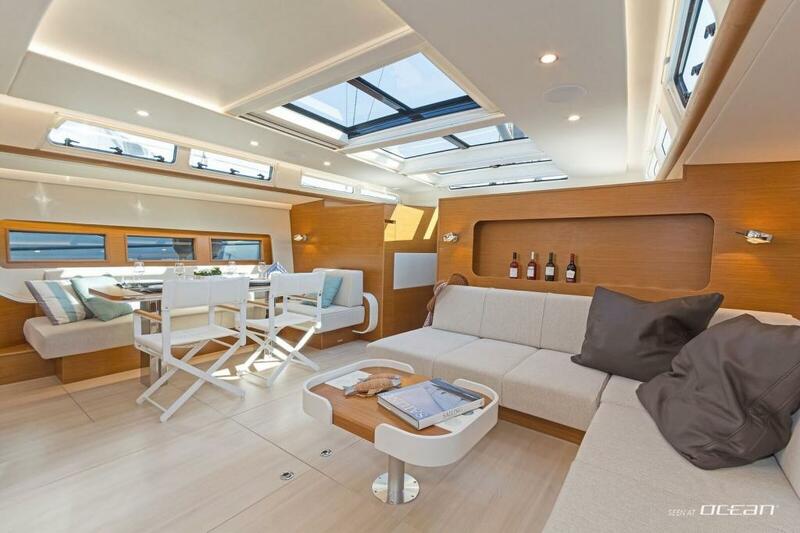 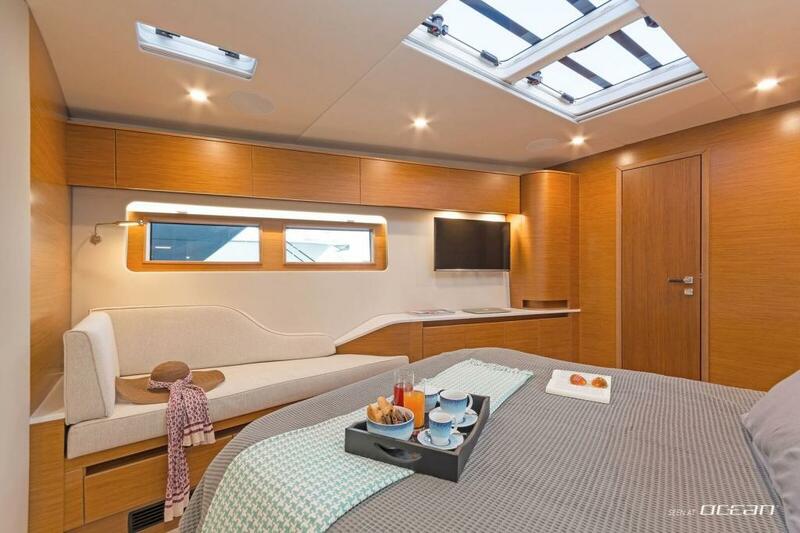 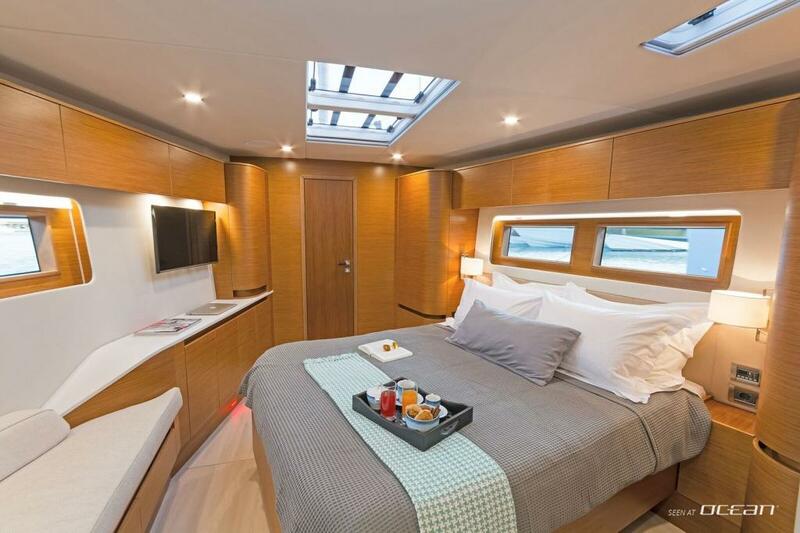 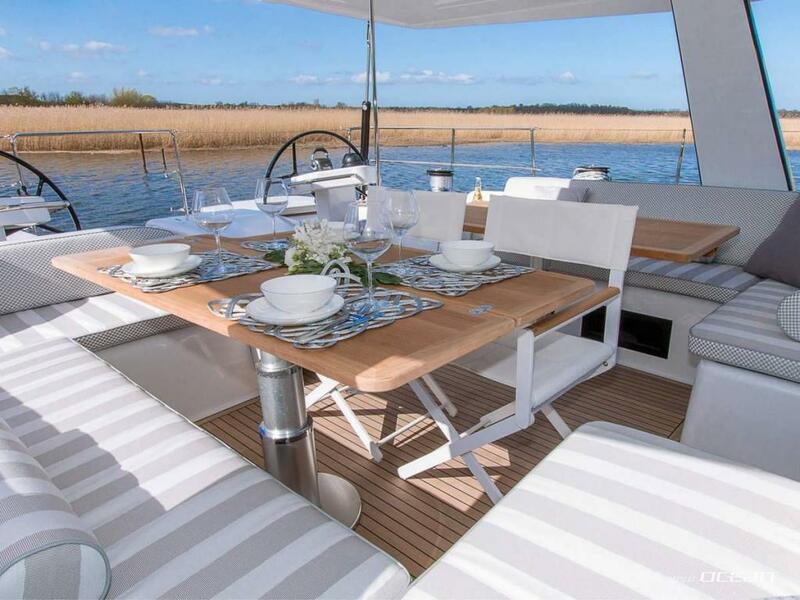 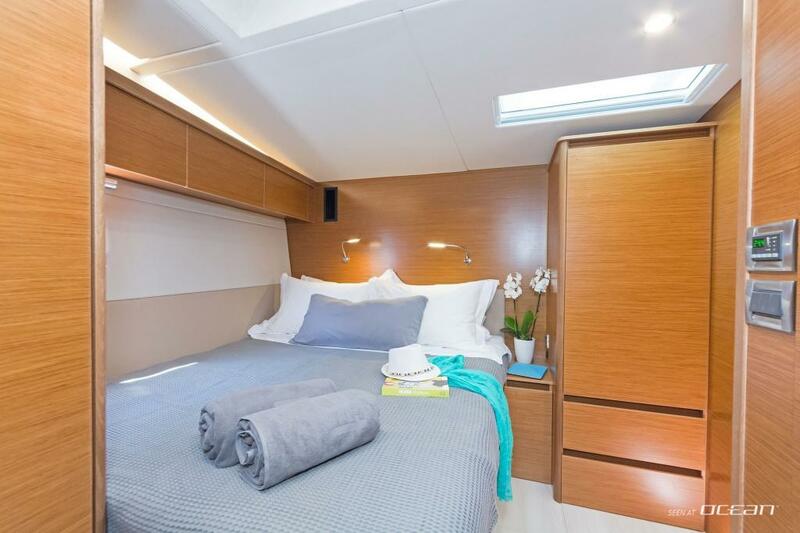 Charter yacht NADAMAS Hanse 675 boasts a spectacular interior guests will love to indulge in. 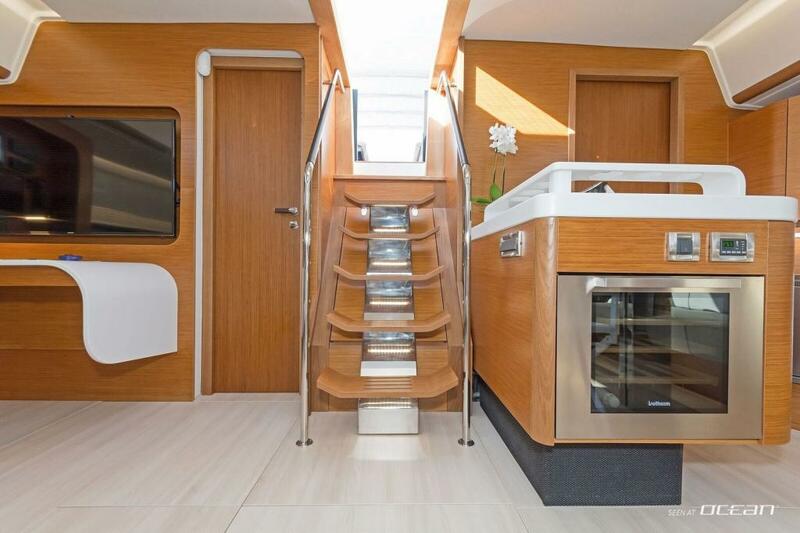 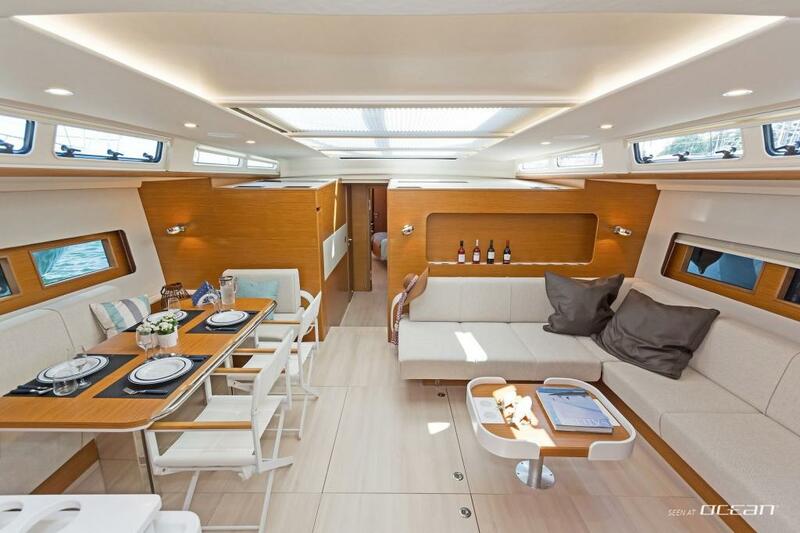 Thanks to its large hull windows a warm bright atmosphere flooding the interior with natural light is created and finest materials and fabrics make sure that the space below deck follows the leitmotiv of a modern sailing yacht. 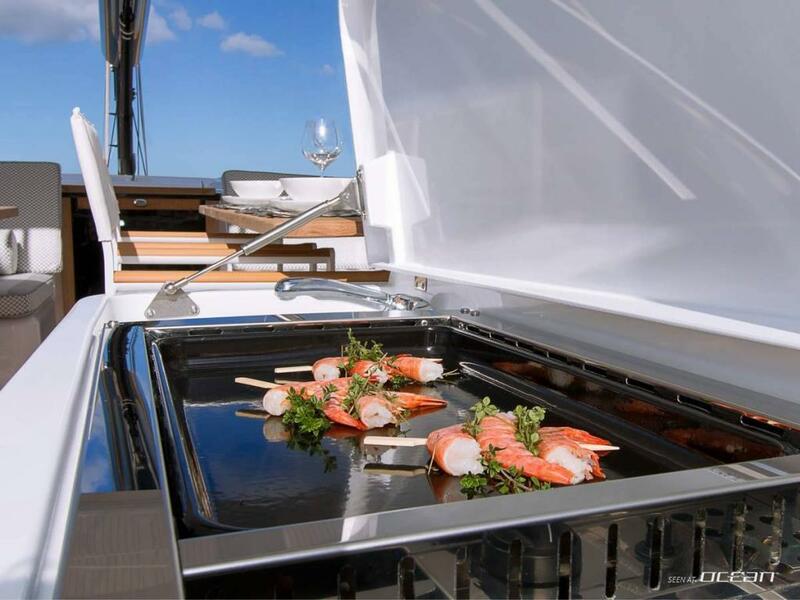 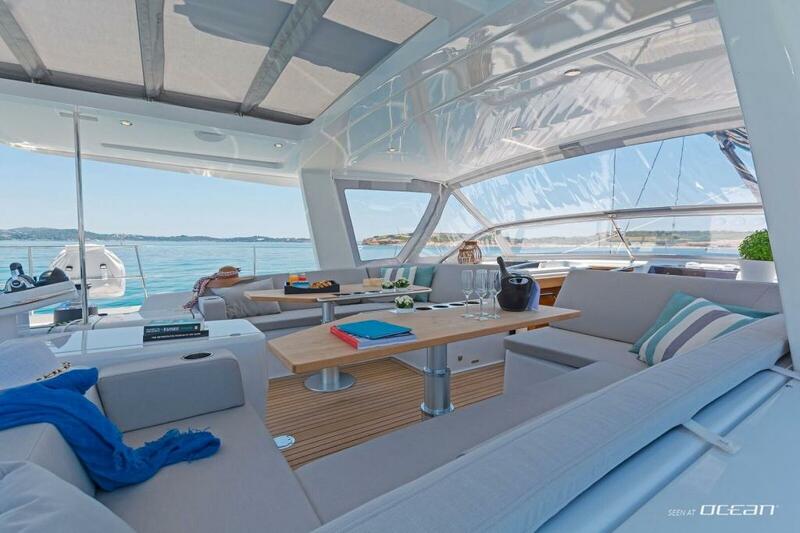 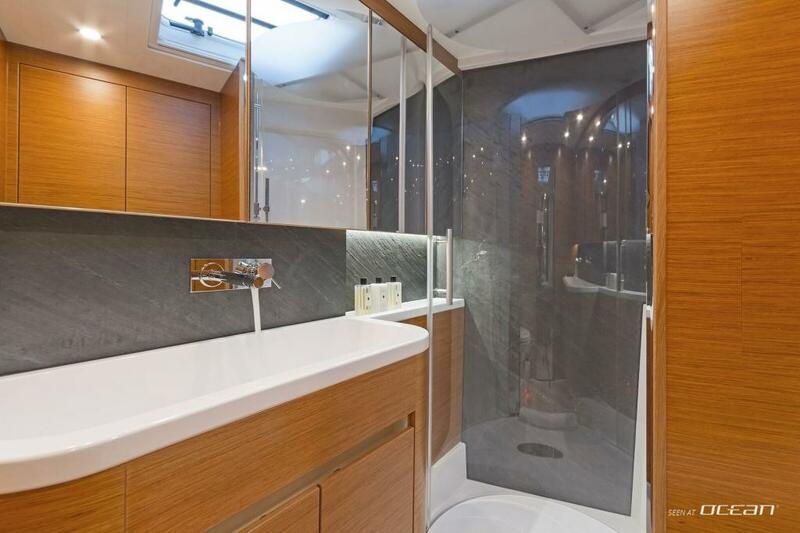 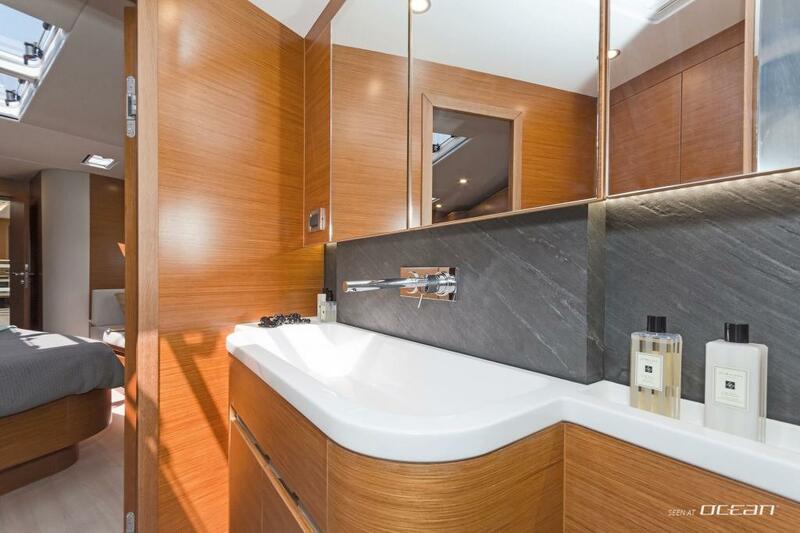 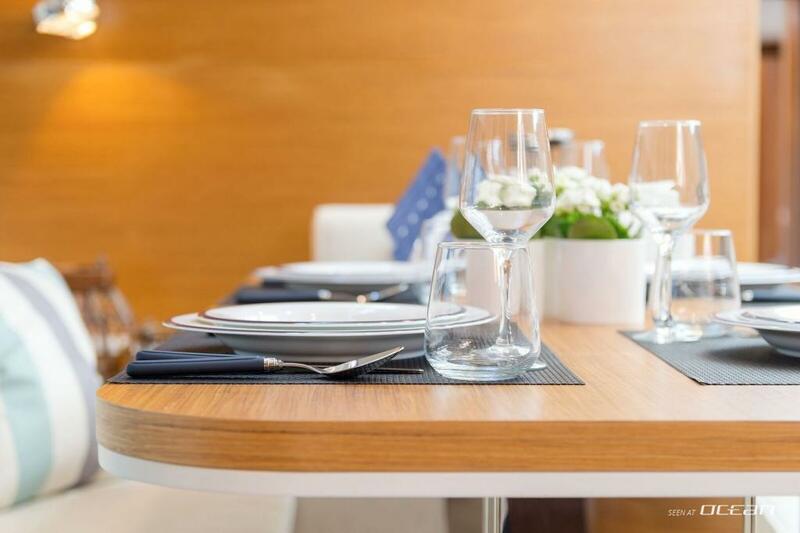 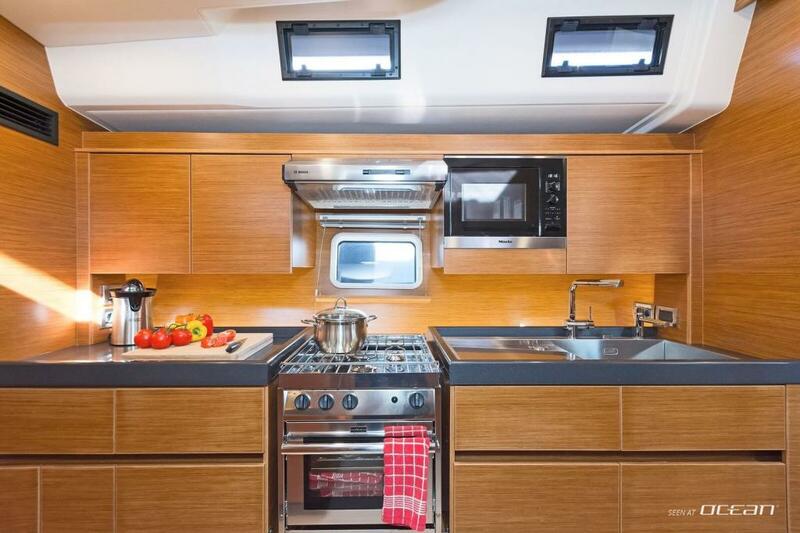 It goes without saying that amenities like a air condition throughout the yacht, generator, water maker and audio-visual entertainment systems are on board, but also the beautiful wine cooler and appliances like dish washer, washing machine and ice maker ensuring comfort during longer cruising passages. 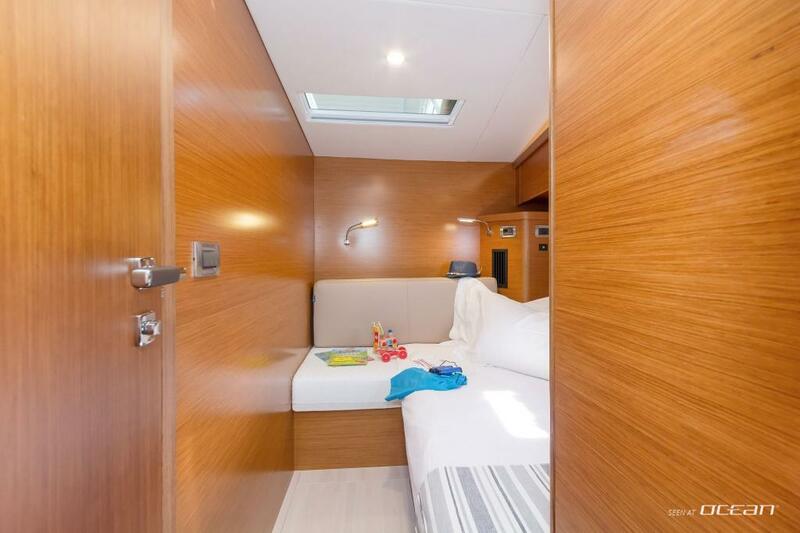 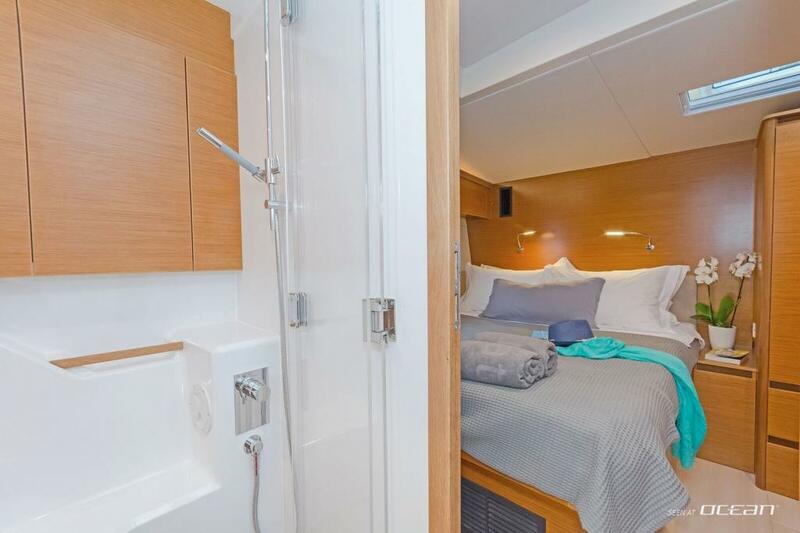 Layoutwise one spacious master cabin with two more double cabins of which is a bunk bed cabin with lower bed convertible into double to offer accommodation for up to 7 guests. 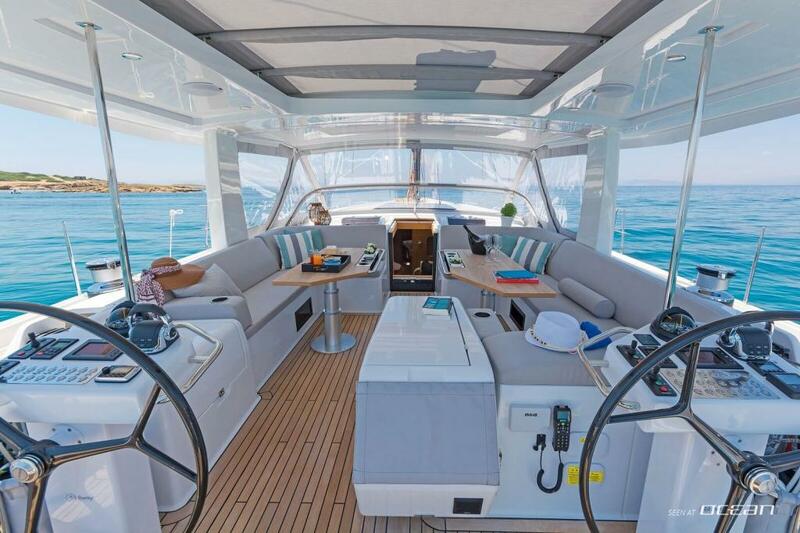 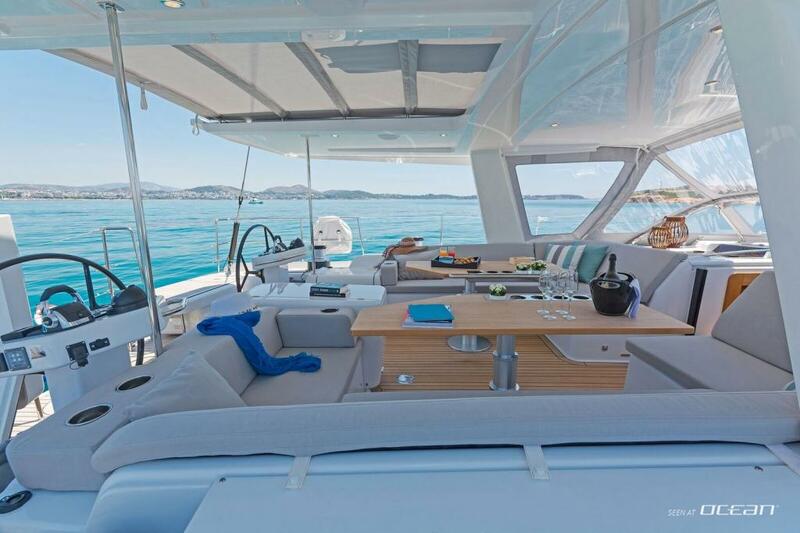 NADAMAS Hanse 675 yacht for charter in Greece is available with a highly trained crew consisting of captain and chef/hostess ready to pamper guests on board. 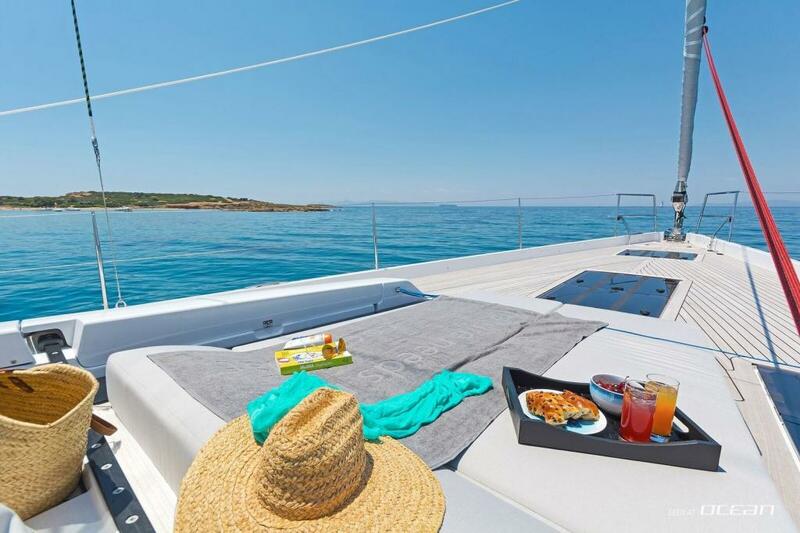 Finest Mediterranean food will ignite your senses and the professional captain will look forward to whisk you away along a journey through the Greek and Turkish islands. 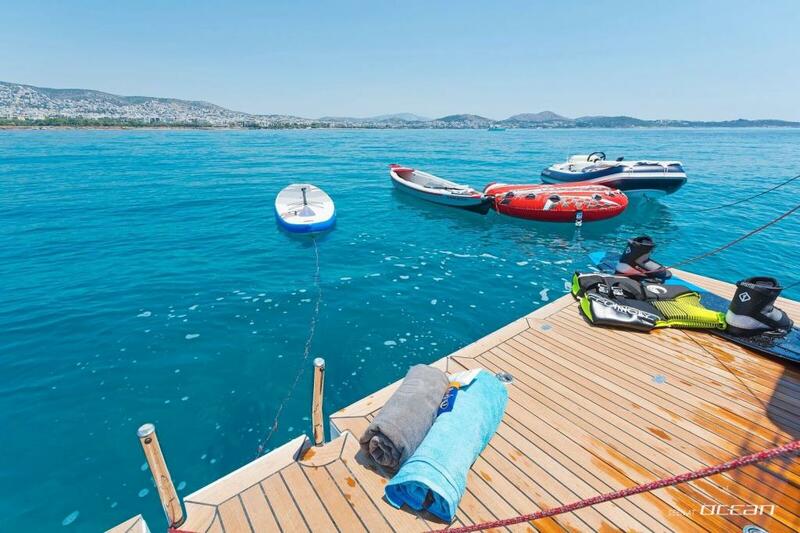 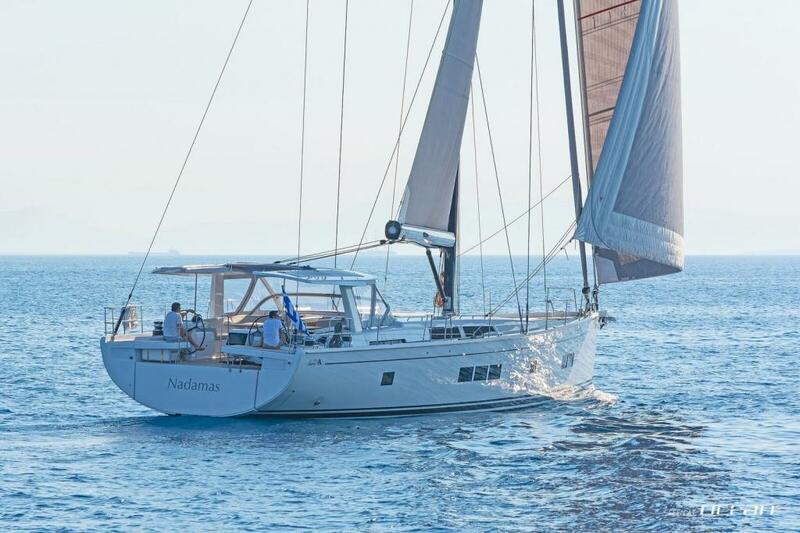 Sailing yacht NADAMAS for hire in Greece will be equipped with a fast tender perfectly stored in its own garage to ensure deck space is solely available for leisure. 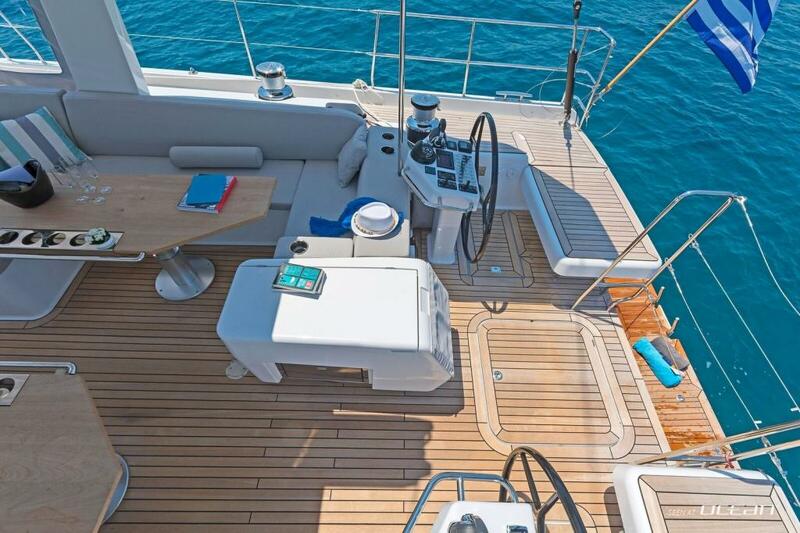 The swimming platform located stern will be ideal to launch water toys easily or to enter the clear sea safely. 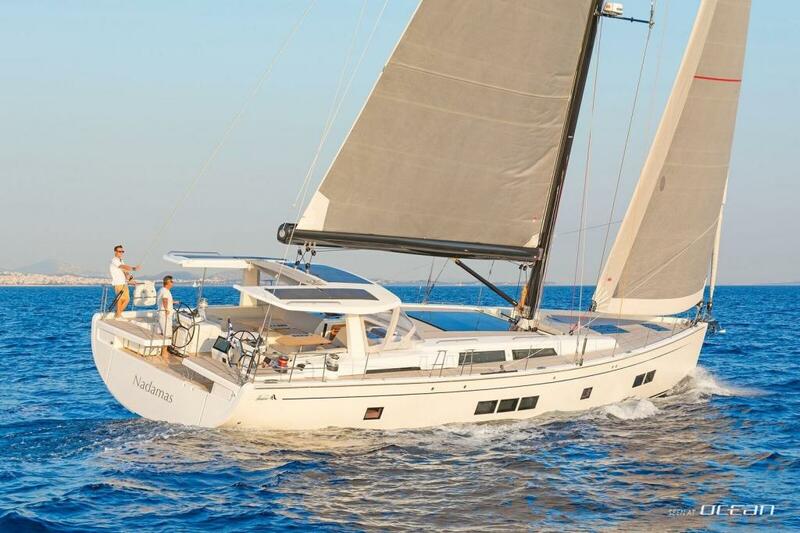 Being one of the most compelling sailing yachts for charter in Greece at all, please do not hesitate to inquire prime dates to avoid disappointment later. 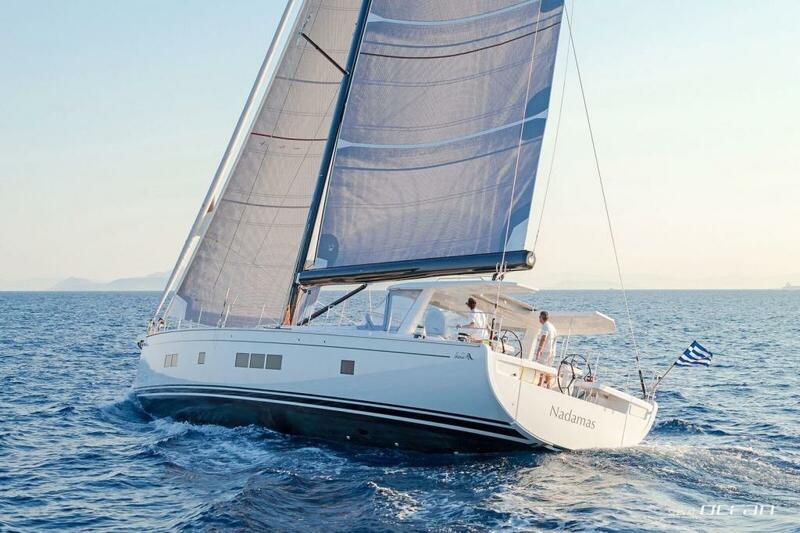 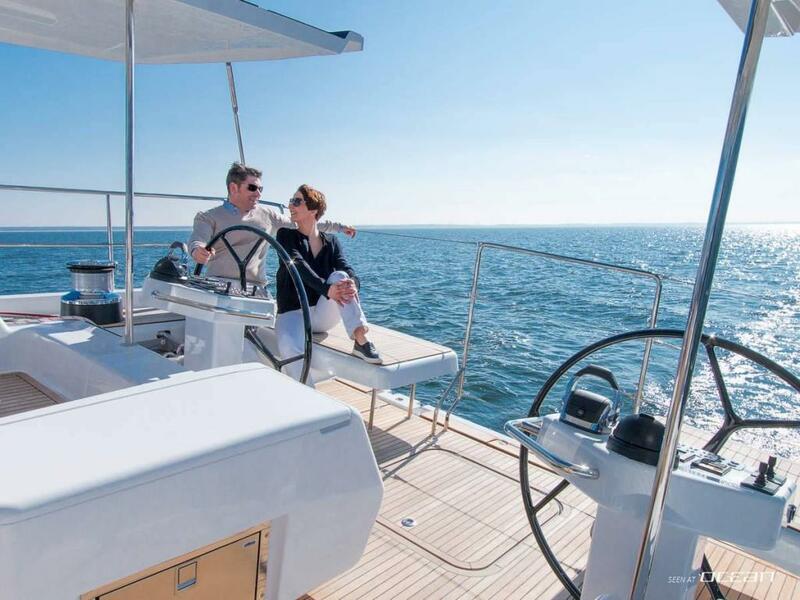 Contact OCEAN for Hanse 675 charter yacht NADAMAS now and experience Greece in luxury and style.